I’ve been sitting at my desk at work and find myself avoiding said work with a motorcycle video on the web. A quick, heart-thumping soundtrack and some spinning tires are just the trick to help me relive my weekend rides. 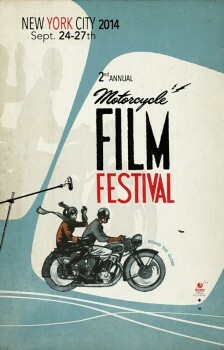 With the proliferation of video technology and talented creatives, it’s fairly obvious that there needs to be a Motorcycle Film Festival. 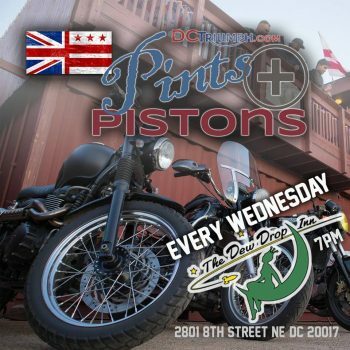 A group of motorcyclists and independent filmmakers in NYC have done just that – and we’re coming up on the 2nd Annual Motorcycle Film Festival in Brooklyn. The festival will feature official screenings of short- and feature-length documentaries and narratives alongside more experimental films. Other events include screenings of classic films, filmmaker talks, an art exhibition, bands, bowling, and more! 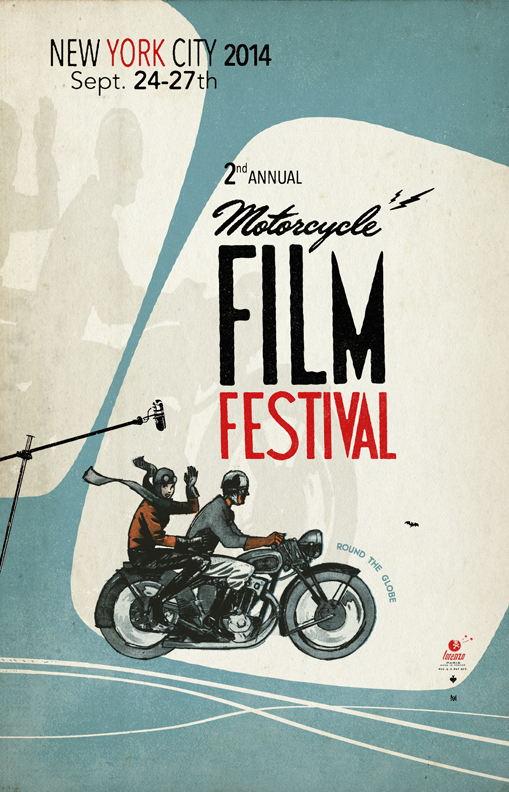 On the final day, a distinguished panel of judges comprising filmmakers, writers, custom builders, and esteemed motorcycle enthusiasts will select winners from each film category. Make plans now to head up to NYC and check out your favorite past time on the silver screen – September 24–27, 2014 at The Gutter (200 North 14th Street, Williamsburg) in Brooklyn, New York.